Although the eyes of Texas are upon Zika, another mosquito-borne illness claimed its first fatality of 2016 in Dallas County — West Nile Virus (WNV). Dallas County Health and Human Services (DCHHS) announced Monday the first West Nile Virus fatality. The victim was described as a 60s-aged resident who lived in the Dallas suburb of Carrollton and previously was diagnosed with West Nile neuroinvasive disease, the life-threatening version that only affects a minority of the population. Symptoms of the neuroinvasive type of West Nile include neck stiffness, stupor, disorientation, coma, tremors, convulsions, muscle weakness, and paralysis. The Texas Department of State Health Services (DSHS) advises as many as 80 percent of people who contract the virus will have no symptoms. Almost all others will develop West Nile fever with symptoms to include headache, fever, muscle and joint aches, nausea and fatigue. Only a very small number of individuals develop the potentially deadly West Nile neuroinvasive disease. On August 8, DCHHS announced another case of the virus bringing the county’s total up to 18, of which 10 are the neuroinvasive form and 8, West Nile fever. 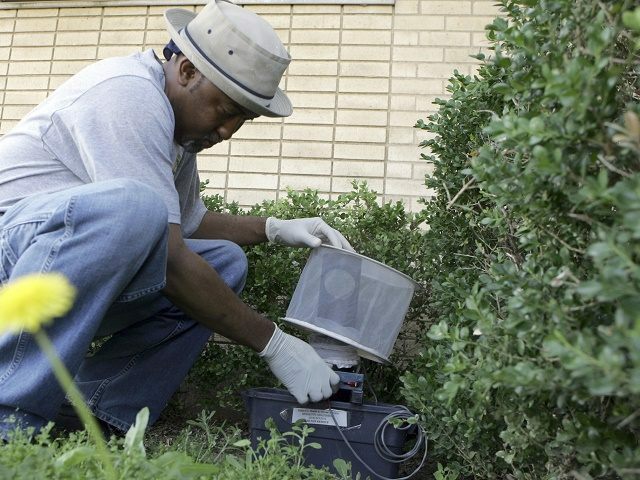 Dallas County has the highest number of West Nile cases in the state. “Our mosquito surveillance program and the county and municipal abatement teams are taking appropriate actions to ensure the safety of our residents. However, it is important for residents to take the necessary precautions,” said Zachary Thompson, DCHHS director. West Nile is another mosquito-borne virus spread by the bite of an infected mosquito. The winged insects can become infected when they feed on the blood from infected birds. These infected mosquitoes can then transmit West Nile to humans and animals. Severe versions of West Nile infections can cause neurologic complications such as encephalitis. Milder symptoms include fever, headache and muscle aches. There is no vaccine or specific treatment for West Nile. Much like with other mosquito-borne illnesses such as Zika, Dengue fever and Chikungunya, state health officials maintain the best way to avoid West Nile is to minimize exposure to mosquitoes by wearing insect repellent containing DEET or other EPA-approved repellent all day, every day. They also advise residents to wear long, loose fitting, and light-colored clothing when outside and limit outdoor activities during dusk and dawn hours when mosquitoes are most active. Lastly, they recommend residents drain or treat all standing water around the home or workplace to eliminate mosquito breeding areas. Texas reports 38 West Nile Virus cases this year. Of those, 14 have been West Nile fever and 24, West Nile neuroinvasive disease (includes the latest case in Dallas). In 2015, Texas reported 275 human cases of West Nile illness in Texas, including 16 deaths. Follow Merrill Hope, an original member of the Breitbart Texas team, on Twitter @OutOfTheBoxMom.